« Round 4 at North Shore – A Mother of a Race Day! 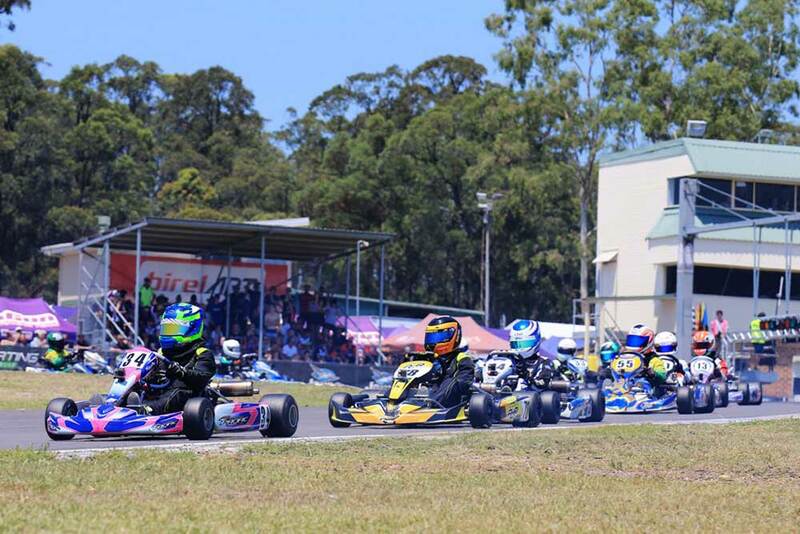 The eight Kiwi karters competing at the third round of this year’s Australian Kart Championship at Monarto in South Australia this weekend will be in very good company. Joining top New Zealand female driver Madeline Stewart on the grid in the KZ2 class are not one but two current Supercar drivers, Nick Percat and Macaulay Jones. 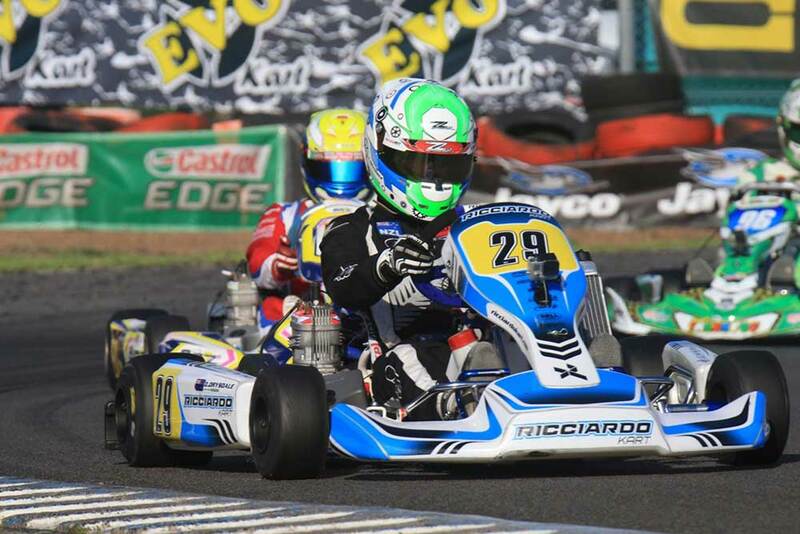 While in the X30 class, Dylan Drysdale will not only come up against multi-time Australian champion David Sera and 2014 Australian V8 Ute class champion Kris Walton, he will also be competing against top Dutch driver Marijn Kremers, and 2013 World Karting Champion Tom Joyner from the UK. Joyner is the latest high profile kart racer to join the series and says he expects to be pushed and pushed hard by the top series’ regulars. “I’ve raced in many parts of the world and I can assure everyone that the level of talent in Australia is right up there with the best in Europe,” he said this week. The eight Kiwis, Seniors Dylan Drysdale and sisters Madeline and Ashleigh Stewart, and Juniors Connor Davison (KA4 Junior), Liam Sceats, Luke Thompson and Kaden Probst (Cadet 12) and Emerson Vincent (Cadet 9), are part of a 220-strong entry for this weekend’s series’ round at Monarto, south-east of Adelaide. Drysdale, originally from Palmerston North, but now based in Auckland, ended up best of the Kiwis at the second round of the series in Geelong at the end of March, qualifying ninth and after four top-ten finishes in the heat races working his way up to fifth place in the X30 class Final. 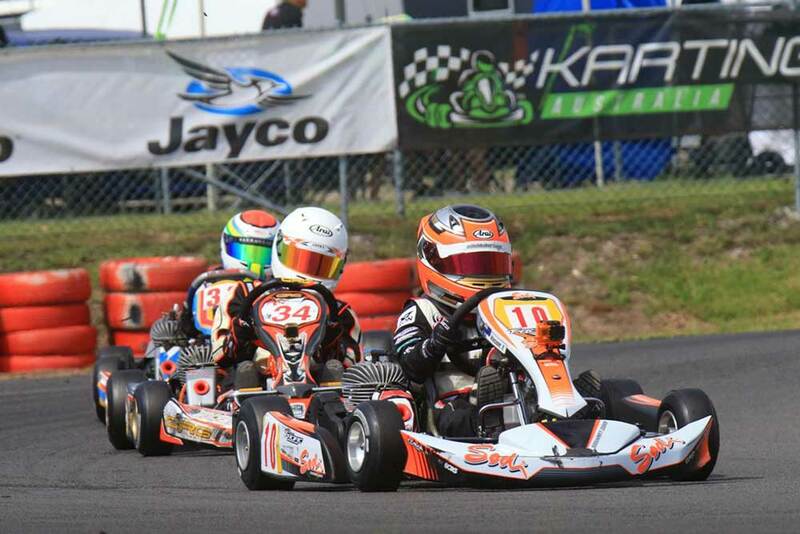 The meeting proved to be a mixed bag for the other seven Kiwi karters however. Young Emerson Vincent from Pukekohe was the next best finisher, with ninth place in the Cadet 9 class, then came Connor Davison from Hamilton who was 12th in KA4, Ashleigh Stewart from Wellington, 15th in TaG 125, and Aucklanders Liam Sceats and Luke Thompson, 19th and 24th respectively in Cadet 12. Madeline Stewart made the KZ2 Final after qualifying 11th quickest and a best heat result of 12th but failed to finish the Final after stalling at the start. Since then Madeline has been back in Australian testing and her father Tony says she hopes to be battling for a place in the top ten this weekend. Older sister Ashleigh, who is now living and attending University in Melbourne, couldn’t make the test last week so will have to learn the track tomorrow (Friday). 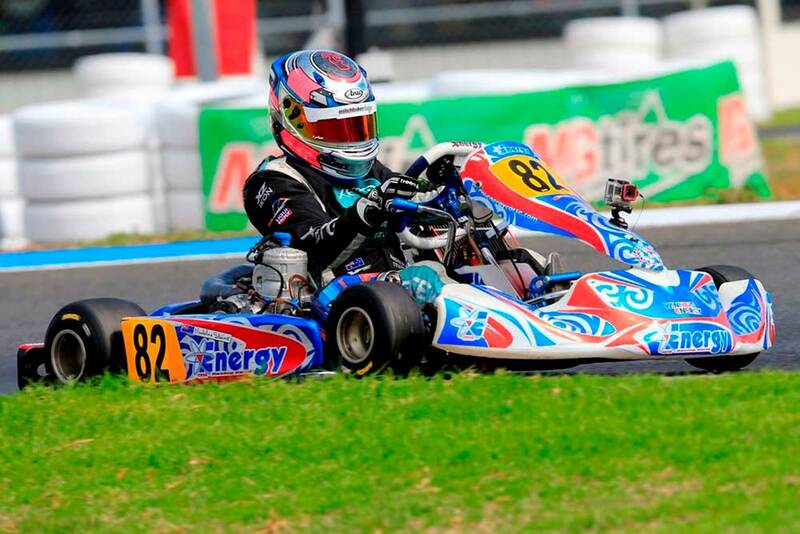 She was a top ten contender at Geelong before a big crash in the third heat left her with a bent kart so she is also hoping for a better run this weekend. Dylan Drysdale and Emerson Vincent are the best placed of the Kiwis points-wise heading into the weekend with both currently 10th overall in their respective classes. There will be testing at the Monarto track on Friday with qualifying and the first heat races of the weekend on Saturday and the remaining heats then finals on Sunday.